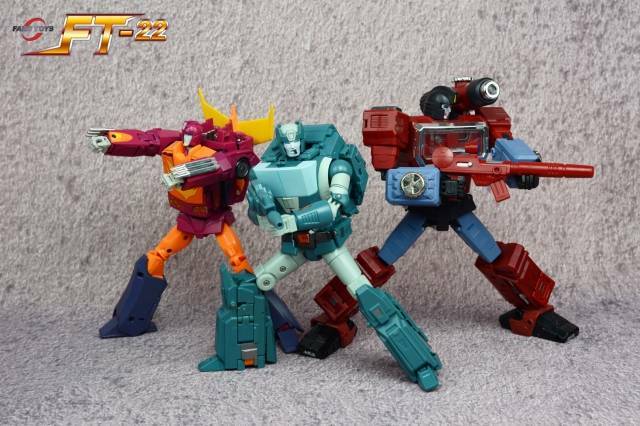 Fans Toys FT-22 Koot stands 19CM/7.5" tall in robot mode and contains die-cast parts. 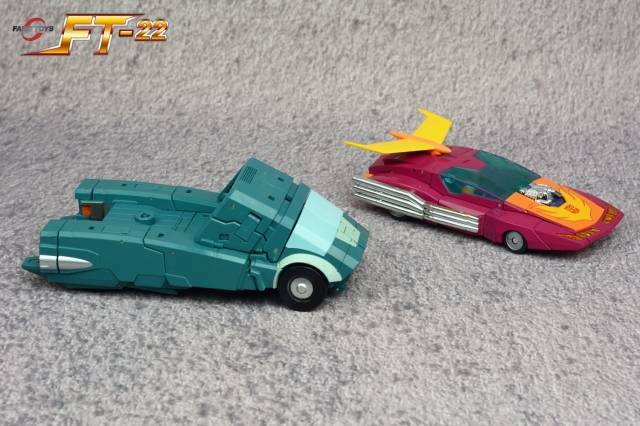 Koot changes from robot to futuristic truck and back! Includes his Targetmaster partner, rifle, and alternate chest plates/windshield plates for robot mode! I was eagerly awaiting the arrival of this figure, and have never been let down by Fans Toys in the past. First time for everything. The figure looks great and is solid through and through. His alt mode is sharp looking and solid as well, everything locking into place. The paint job is superb, and the details are fantastic. 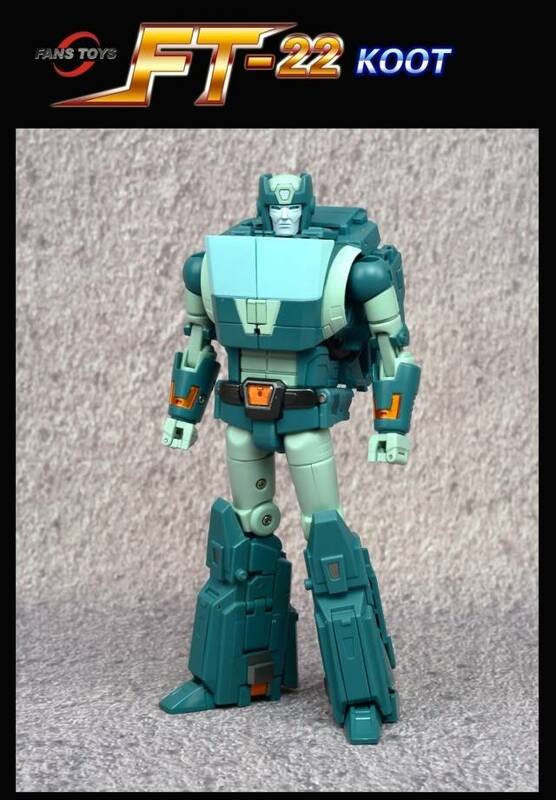 When you look at this guy, he is Kup. The problem lies with his transformation. There are too many times where there isn't enough room to move pieces around, and you have to force things around each other in order to get them to go where they need to. We kind of saw that with Willis (Hound) but boy howdy, is it a problem here. After switching him a few time, a method is there to make it...easier, but you still are flexing parts that shouldn't be flexed, and one should be careful of breakage. This may have been fixed had there been a bit more clearance in the inner backpack area during transformation, as it is mostly the very limited space that makes things difficult. So, great figure, great alt mode, great paint and detail, hard transformation. If you get this guy and transform him, be slow and patient with the old guy. I really want to give this figure a 5, but I understand that there are some areas in the transformation from bot to vehicle where there's not enough space to move panels into place and you just have to be extra careful not to add stress to any areas as you move these problem panels past each other, but once everything is in place, the vehicle mode is superb!!! 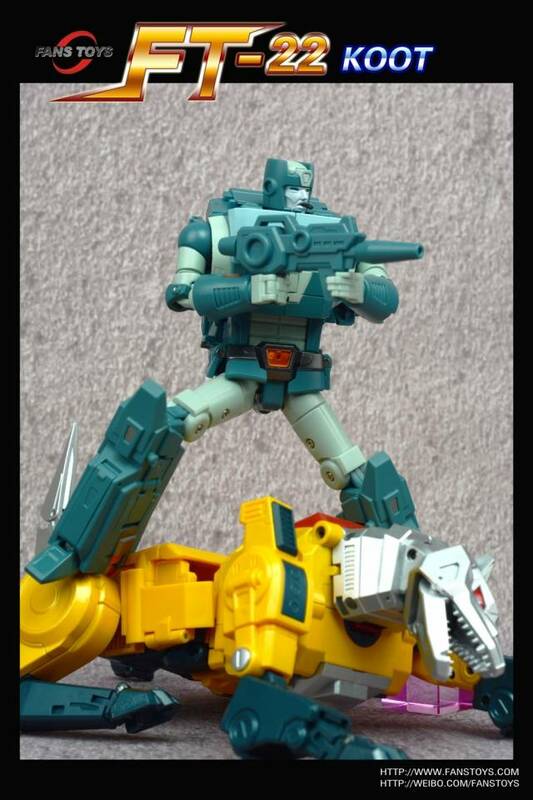 Overall I really like this figure and the face is absolutely Kup, so much so you expect him to lecture you and tell you how it was back in his day. 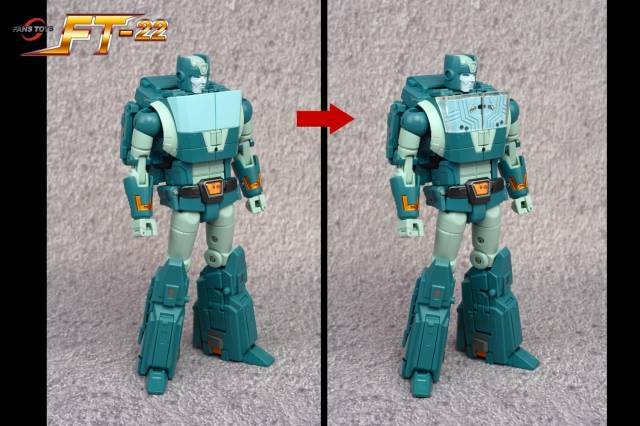 I recommend totally this figure, but caution to be patient with the transformation with old timer. First off, this is definitely a must have figure even with its flaws. The figure has heft to it and nice die cast. Things tab in securely and this figure has great play value. The only negative with this figure is the transformation. There is one part of the transformation where there is clearance issue to the point where you are bending pieces to pass them. Personally, the plastic is so well made that I do not worry about it breaking, but it is something to note and something that should not have happened. "This figure will test your patience"
Transformation can be very challenging due to moving parts that won't budge easily and poor instructions that will likely make you resort to flexing things around by brute force. Took me hours to get a clean vehicle mode with no panel gaps. The reward is a very accurate looking bot and alt mode. I just order this guy for my bday o. June 29th and I'm so eager to recv him. I've been wanting him for a while. It's time to take him off the list but I do hope that the issues are resolved in transforming him but most likely he will stay in robot mode for all time cause that's how my display is setup. 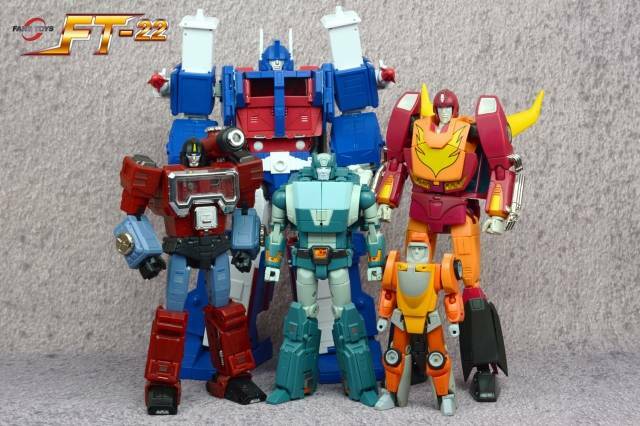 I have the old G1 version that will sit by his side to compare but so can't wait to get him. 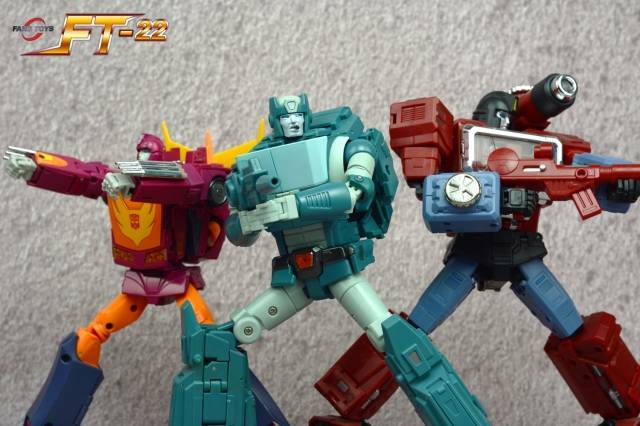 "I dont buy Transformers, but when i do their G1's"
So I was always a huge fan of Kup since the 86 movie release. When i first seen the shots of this figure, it was a must have. This figure is AMAZING and Fans Toys nailed it without doubt. The look of this figure is so well done and all of the joints feel/move outstanding. I heard more than once that its scary to transform from vehicle to robot. I mainly was mainly keeping him in robot form. Either way i love the figure and it does have diecast metal in it. Great looking; glad I chose this and not the make toys verson. 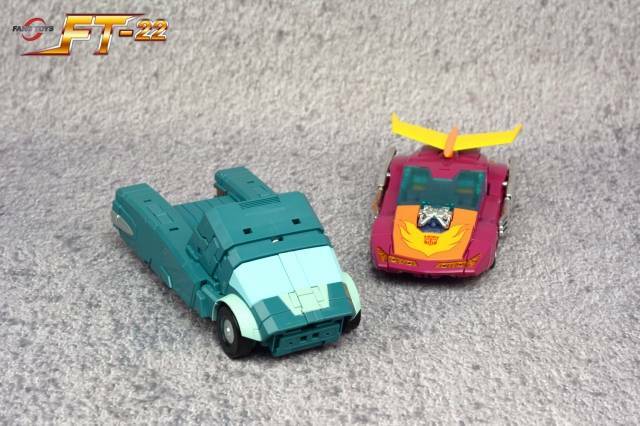 "5 star but minus 1 for transformation"
"Looks great, some transformation challenge, and no regrets"
Kup was one favorite Transformers from THE move. This figure is a great representation of him, with some IDW thrown in with the cigar. He's a bit of a bear to transform into his alt mode, but nothing too difficult after the first transformation; after one transformation, frustrations subside. I didn't like the shoving of the front wheels over the side skirts, like others have noted, but it doesn't feel risky. I like challenging transformations, and found his fun. Very underwhelming. Green and teal. Like FT Dracula, it is boring. Lack of design and detail just leaves this an underwhelming piece. There is a delicate balance to finding G1 goodness and contemporary design. FT drops the ball every time. They settle for simple and bland vs innovation. I love complex transformations, so this is just up my ally. 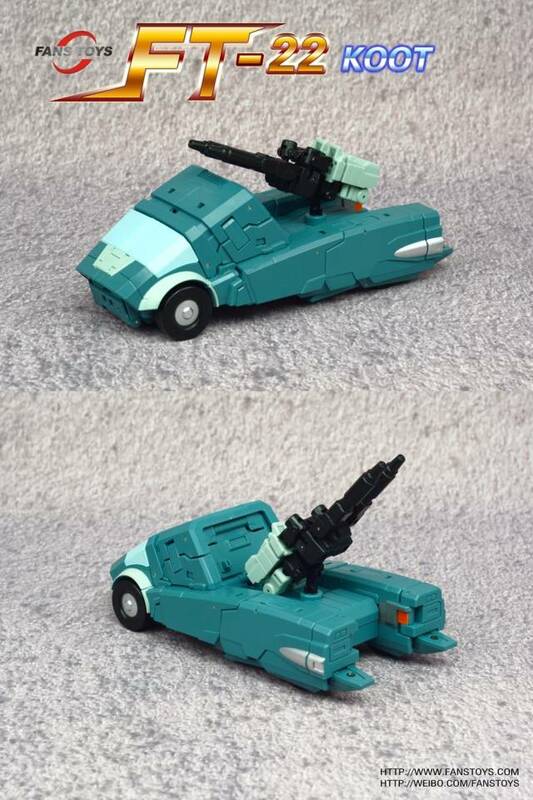 One thing I notice most people overlook is that there are panels on his abdomen under the windshield that flip over so you can have an autoboot symbol there (cut in half) but then they can be rotated out of sight for vehicle mode (where it would be split by the windshield insert). I think this is very smart. Well done. Bigger and heavier than I expected, I can't be more pleased with the quality of koot and a perfect representation of the 86 movie cast! Also very pleased with the packing care taken for shipping from tfsource! Amazing figure and fast shipping with quality packaging from TF Source! This is an awesome toy. 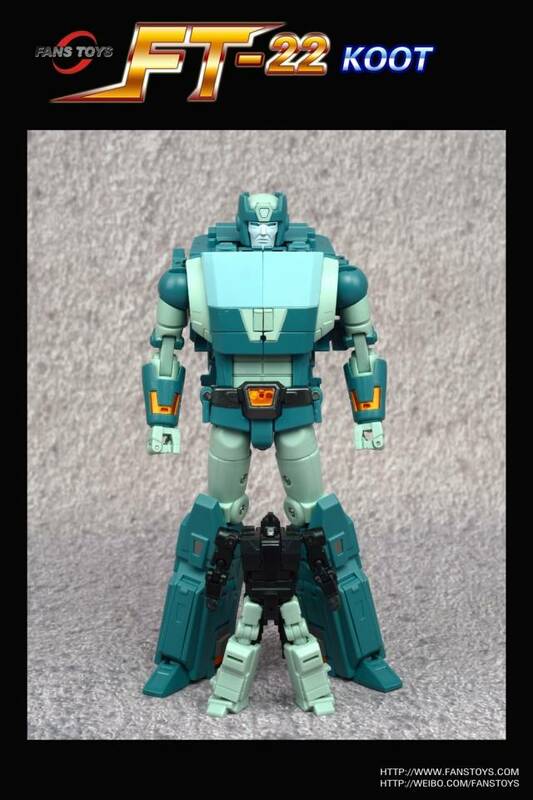 It looks just like the movie kup and has a good quality of material in it. It doesn't look cheap. It took me a little over an hour to figure out how to transform, and it can be difficult at first. It was easier to transform the second time, then it was fun to transform the third time. Great toy, not for children; especially, impatient ones.